With a stay at Swissotel Sydney, you'll be centrally located in Sydney, steps from Westfield Shopping Centre and Sydney Tower. This 5-star hotel is 0.4 mi (0.7 km) from Pitt Street Mall and 0.7 mi (1.1 km) from The Galeries. 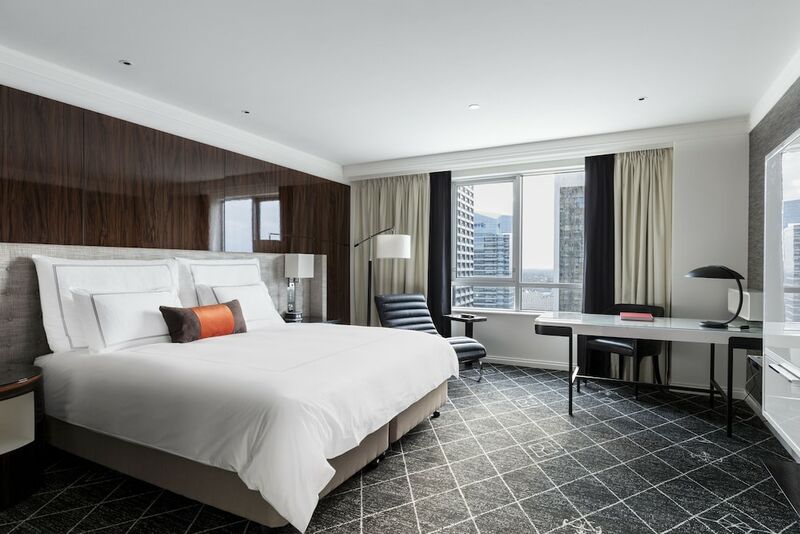 Swissotel Sydney has 8 function rooms and a business center. Audiovisual equipment and full staging equipment are available on request. Conference/function room(s): 8 function rooms are located on levels eight and nine. The largest is the heritage-listed Blaxland Ballroom, which is 403 sq meters and can cater for up to 450 people (theater and cocktail style). Four of the rooms are suitable only for boardroom settings. Business center: The business center has computers with Premium high-speed Internet access (surcharges), plus a fax machine, laser printer, scanner, and photocopier. Internet access: The conference rooms have free standard WiFi. Jpb - This onsite urban eatery located in the heart of Sydney's CBD offering a range of locally inspired and seasonally sourced dishes. The Australian born Executive Chef Joshua Askew has developed a passion and aptitude for mixing and matching Australia's native produce with more traditional flavors. A desire for food to imitate art, the menu will take each diner on a journey of flavor, color, and texture with meals cooked from the heart with the integrity of each ingredient in mind. Open for breakfast and dinner. Crossroads Bar – The perfect location for a leisurely high tea, a quick bite to eat or to spend the evening sampling the bars signature ‘Swiss in the City’ cocktail, Swissotel Sydney’s own take on the classic Cosmopolitan. Swissôtel Sydney has a fitness centre with cardio machines, free weights, and bikes. Personal trainers are available (surcharge); bookings are required. The hotel also has a sauna, spa tub, and 15-metre heated outdoor rooftop pool.